In recent days, we have started to audit the customer’s attitude among their view and purchase. A fabulous report shows that the people in the ratio of prospecting the review online are increasing day by day. Approximately, eight out of ten customers are surveying online reviews before purchasing the product. So, the product reviews script is the upcoming highest potential business in an online industry which is why our developers have consumed much more time to contribute this unique script. We have coordinated more peculated functionalities in this review & comparison script. 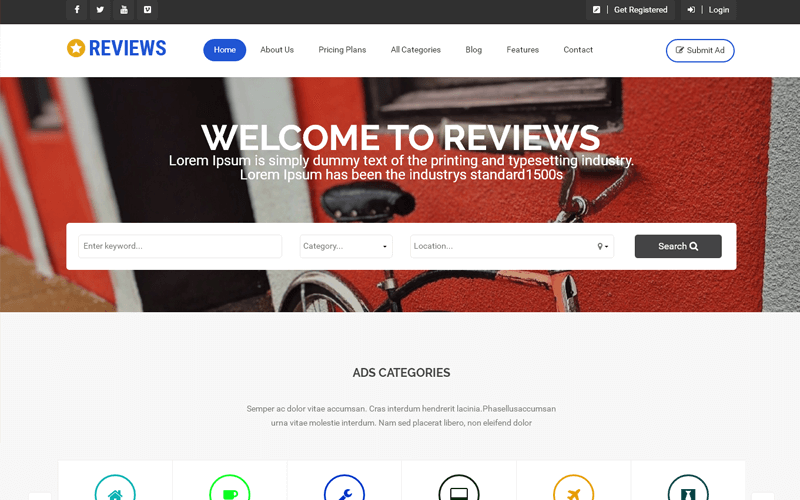 This php customer ratings and reviews script can be used for multipurpose and revenue management system. You can use this customer feedback software script for an individual or multi-review of the product. Even this script can be served as a classified script. So, this is known as multi-purpose review management system. There are some peculiarities like cross platform, free of cost registration, pricing plan management, progressive search option, advertisement management, multi-currency support, multi-language support, Google map integration, social media integration, blog management, account management, favorite’s list management. You can customize our whole site without any technical knowledge because we provide you with the full open source code. We also abaft you not only till installing our script but for one year with warranty and technical support and six months free upgrade for the source code. We are also providing customer support 24/7 via our proficient technical team. Awesome script, great functionality, and the guys were really helpful when I had a problem with a customization. Great flexible script as well as prompt and helpful support!